On 26 September the SMM observed at least 36 tanks (type unknown) at the training area in “LPR”-controlled Kruhlyk (31km south-west of Luhansk). A day earlier the SMM spotted at the same training area one heavy multiple launch thermobaric rocket system (TOS-1 Buratino, 220mm). See complete report posted by OSCE on September 28 at http://www.osce.org/ukraine-smm/186276. This is the 1st time when TOS-1 was reported by SMM. You can check location of Kruhlyk village on Google Map here. TOS-1 rocket experiment. 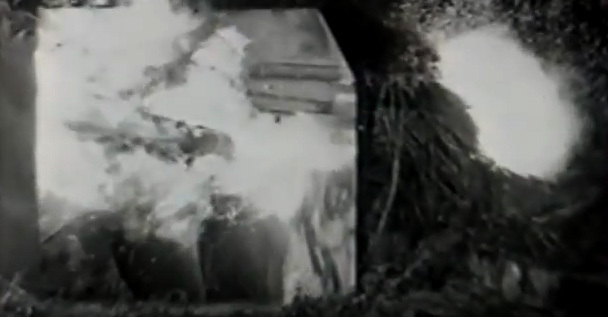 Flammable aerosol gets inside the fortification and burns. Previously National Security and Defense Council (NSDC) of Ukraine reported that TOS-1 was used by the enemy on January 13, 2015 in attack on Ukrainian Army positions near Vesele village located near Debaltseve. See exact location on Google Map here. Yesterday insurgents first time attacked suburbs of Vesele village using MSRL TOS-1 “Buratino” which is manufactured only in Russian Federation. Also terrorists used mortars, artillery, “Grad” and other heavy weapon. Later on March 14, 2015 one of our reporters located in Lugansk saw newer modification TOS-1A “Solntsepyok” near one of the military bases of LPR insurgents which was close to the city center. TOS-1A has 24 rockets instead of 30 as at TOS-1 and its fire range was increased. Protocol III on Prohibitions or Restrictions on the Use of Incendiary Weapons prohibits, in all circumstances, making the civilian population as such, individual civilians or civilian objects, the object of attack by any weapon or munition which is primarily designed to set fire to objects or to cause burn injury to persons through the action of flame, heat or a combination thereof, produced by a chemical reaction of a substance delivered on the target. The protocol also prohibits the use of air-delivered incendiary weapons against military targets within a concentration of civilians, and limits the use of incendiary weapons delivered by other means. Forest and other plants may not be a target unless they are used to conceal combatants or other military objectives. 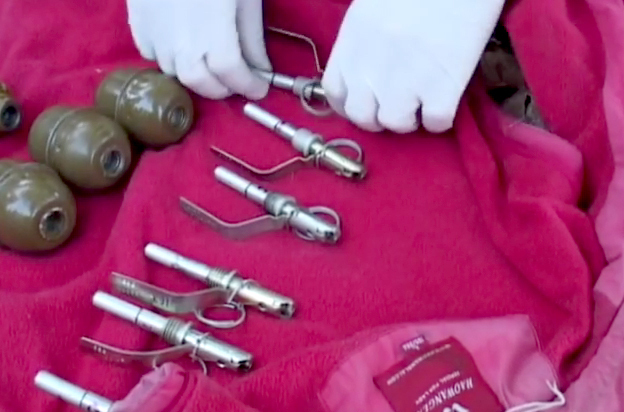 Protocol III lists certain munition types like smoke shells which only have a secondary or additional incendiary effect; these munition types are not considered to be incendiary weapons. 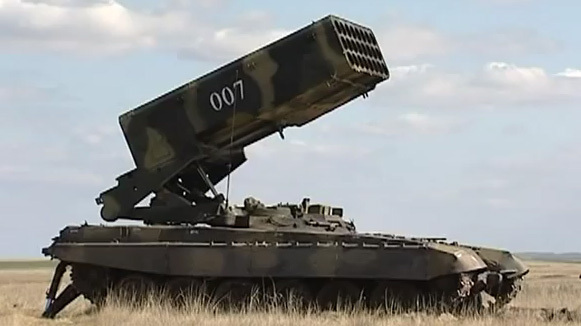 The video below is very good example how TOS-1 works. 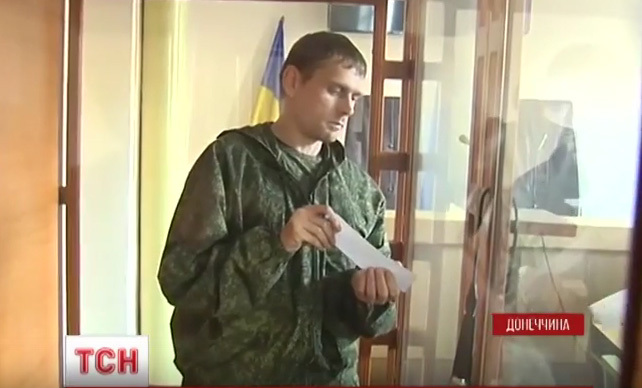 On September 25 Russian Maj. Vladimir Starkov who was captured on July 25 near Donetsk at Ukrainian checkpoint with a truck full of ammo was sentenced to 14 years in jail by the decision of Ukrainian judge. This was reported by Deputy Prosecutor General of Ukraine Anatoliy Matios and later the information was confirmed by Ukrainian media. This was the 1st case when regular Russian army officer was prosecuted. This is symbolic! Half an hour ago the chairman of court hearing of the District Court of Dzerzhynsk city of Donetsk Region announced the verdict to major of Armed Forces of Russian Federation Starkov for taking part in aggressive war against Ukraine who followed orders of the Chief of Staff of Russian Federation Gerasimov. The verdict came after the request of the public prosecutor of the Main Military Prosecutor’s Office. 14 years in prison and confiscation of property. In the name of Ukraine! In the name of fallen Ukrainian Heroes! In the name of Nadezhda Savchenko, Oleg Sentsov, Alexander Kolchenko! In the name of the Crimean-Tatar people! In the name of tears of Ukrainian mothers! This happened first time in the Ukrainian history when Russian soldier was found guilty according to Article 437 of the Criminal Code of Ukraine. 2. Conducting an aggressive war or aggressive military operations, shall be punishable by imprisonment for a term of ten to fifteen years. Ruslan Iotko, the driver of the truck who was with Starkov and who accidentally got the truck with ammo to Ukrainian checkpoint taking wrong turn on the way from Donetsk was sentenced to 10 years in prison. Ruslan Iotko said to the reporters that he’s not going to appeal and is ready to spend 10 years in prison. He also refused to answer the question about how he was recruited to one of the illegal armed groups of so-called Donetsk People’s Republic. Below is the video from the court. Also on August 13 2015 Vladimir Starkov addressed to Putin in a video posted by Security Service of Ukraine. He said that he is Russian Army officer who has been on military service for 19 years, that he wasn’t a combat officer, but was just doing logistics and now Russian Army says that he doesn’t exist. He asked Putin to admit that he was a military and to help to get back home. 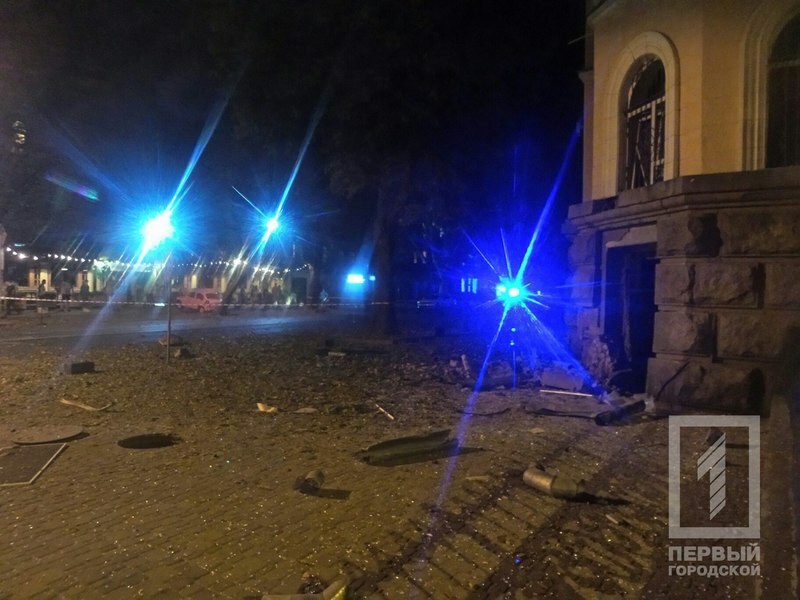 Today on September 27 at 4:40 am in Odessa there was heavy explosion near the building of Security Service of Ukraine located at Yevreiska St, 43, see location at Google Map. According to information available now terrorists put the bomb at the back door of the building. Windows in two blocks radius were broken by a blast wave. Police arrived to the place immediately. 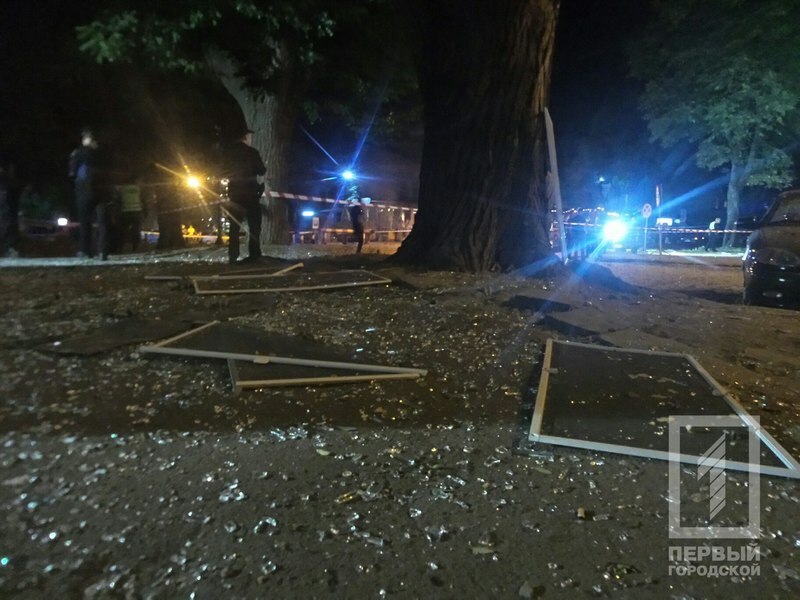 Below is the video and photos of the aftermath of the explosion in Odessa. 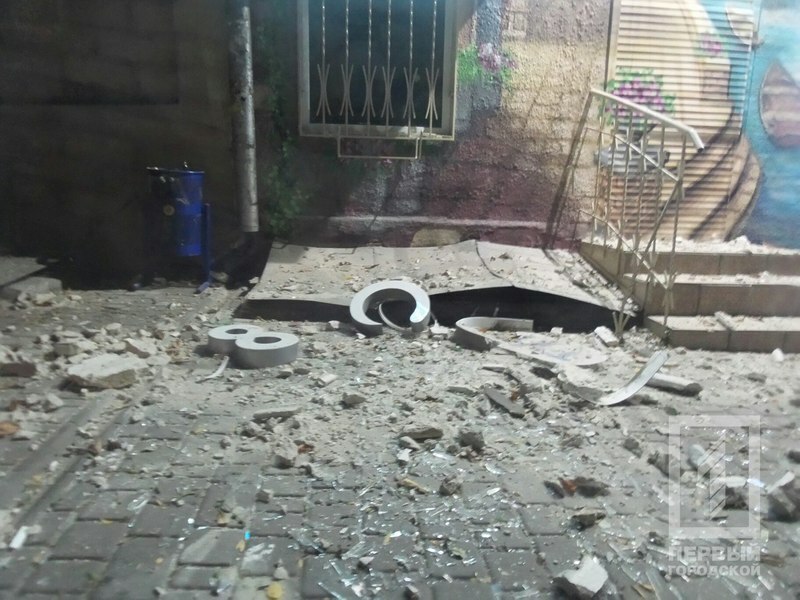 This is not the 1st terrorist attack in Odessa since the beginning of Russian aggression on the East of Ukraine, but previously mostly volunteer centers were bombed. All explosions were at night or early in the morning and without any casualties. Pro-Russian rebels banned all humanitarian organizations on the territory of so-called Lugansk People’s Republic. Only International Committee of Red Cross was allowed to operate in the part of Lugansk Region which is not under Ukraine authorities control right now. All operations of UN on the territory of so-called Donetsk People’s Republic were also stopped. 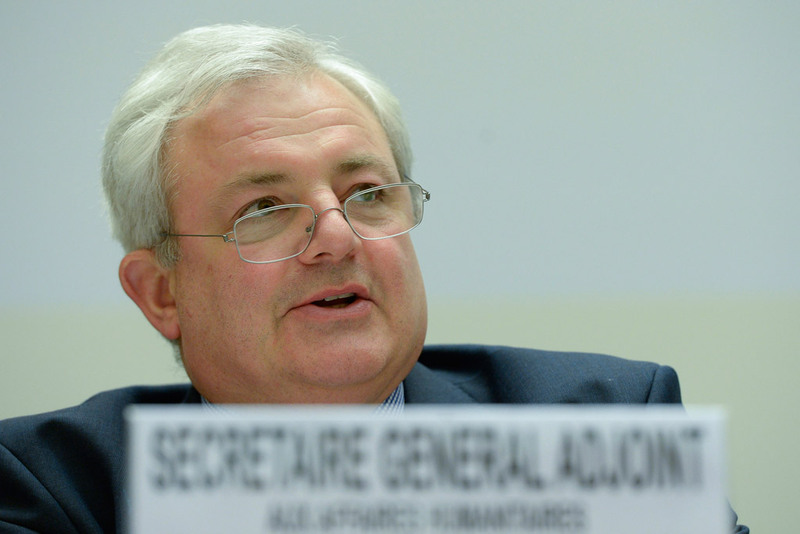 On September 24 Stephen O’Brien, Under-Secretary-General for Humanitarian Affairs and Emergency Relief Coordinator of United Nations, expressed his concern because “the authorities on the East of Ukraine” ordered to stop all operations of UN in Lugansk. The staff of UN institution was told to leave the territory by September 25. Also several international NGOs were informed that they must leave “republic” before September 26. I am concerned by messages that de facto authorities on the East of Ukraine ordered to institutions of UN in Lugansk to stop all operations and leave the area by tomorrow, September 25. Decision of de facto authorities in Donetsk regarding further operations hasn’t been made yet and operations of all UN institutions of UN stopped. O’Brien said that this situation is a threat for lives of people and old people, women and kids will be left without most essential things. Coordinator of humanitarian aid reminded that humanitarian situation in the region is hard. He said that hospitals don’t have enough of medicine, including insulin and vaccine against tuberculosis. Doctors can’t do surgeries because there is no anesthesia. 150 thousands of people don’t get food sets every month, 1.3 million of people have problems with water. Over 30 thousands can’t get construction materials that they need in order to fix their houses. 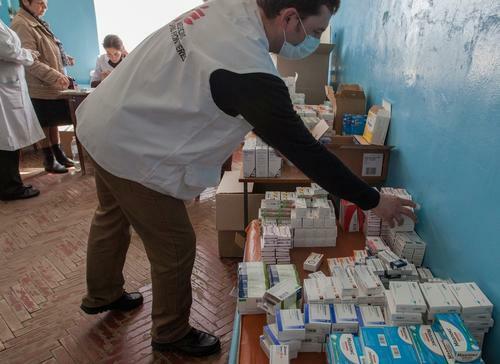 Ihor Roznatovskyi fullfils medical prescriptions for patients at an MSF mobile clinic in the town of Sukodolsk near to Lugansk, May 2015. We find the decision unacceptable given the significant medical and humanitarian needs of people affected by the ongoing conflict in Lugansk. 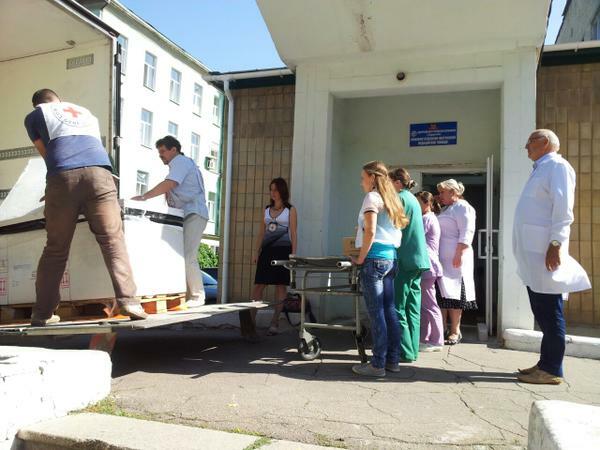 MSF has been one of the few international organisations providing vital assistance in Lugansk for more than a year. We have been dedicated to supporting doctors and nurses to be able to carry on their crucial work. As in all conflict zones where MSF works, our only aim has been to help vulnerable people, no matter their political beliefs or which side of the frontline they find themselves on. – Dr Bart Janssens, MSF Director of Operations. So far the only humanitarian organization that was allowed to work in Lugansk is International Committee of Red Cross. But even they have problems. Yesterday at about 15:00 8 cargo trucks with humanitarian aid from ICRC went through the checkpoint “Bugas” to the territory of Donetsk Region which is currently under control of illegal armed groups. Anyway, today ICRC managed to deliver insulin to the territory controlled by so-called Donetsk People’s Republic, to Snezhnoye, Yasinovata, Torez, Khartsyzsk, Kirovskoye and Amvrosiyevka. 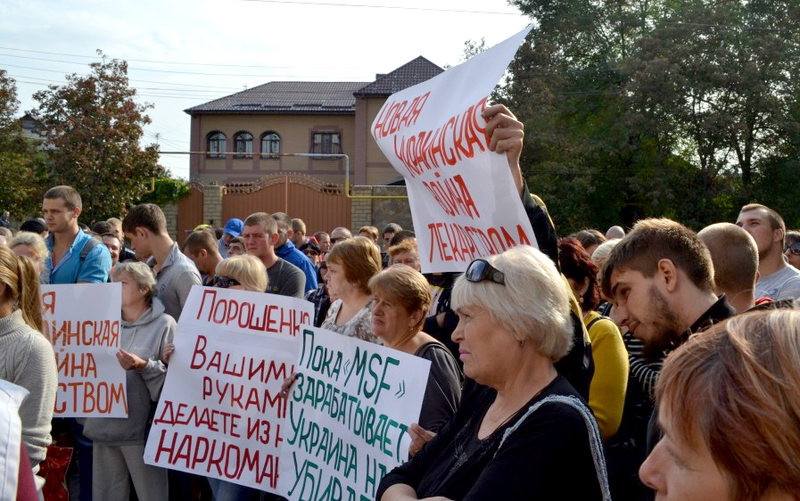 Yesterday local separatist media of Donetsk reported that “regular people” came to the office of “Doctors Without Borders” (Médecins Sans Frontières) to protest. There were about 100 people, they had signs that looked like written by same person and signs had same texts on them also. Pro-Russian “protesters” were blaming MSF in making money during the war and making people of so-called Donetsk People’s Republic drug addicted. 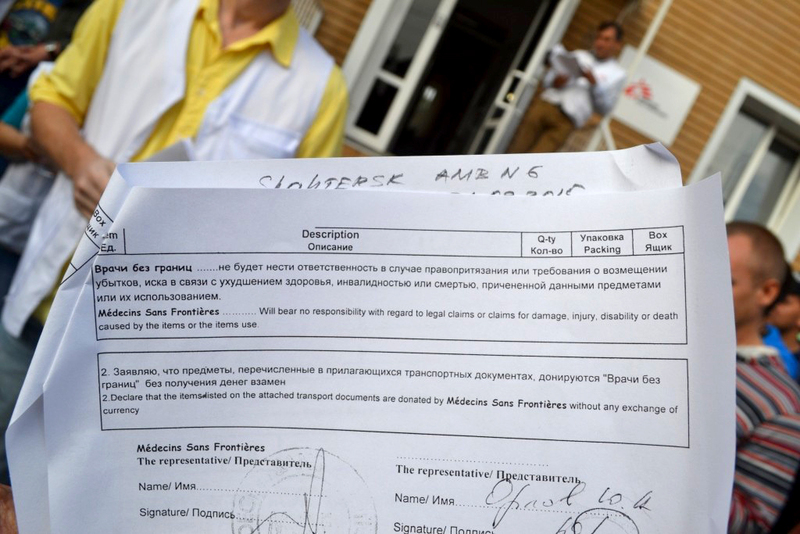 Representatives of MSF came out to talk to people and showed documents issued by DPR “authorities”, so-called Accreditation Card, that allow MSF activity on the territory of Donetsk Region which is currently occupied by pro-Russian insurgents. Border Guard Service of Ukraine detained Iranian citizen who was professional sniper, he was trying to get on the territory controlled by pro-Russian terrorists on the East of Ukraine. He planned to join illegal armed forces and wanted to take part in military actions on the side of so-called LPR and DPR. During passport control of passengers who arrived from Tbilisi to Kiev at checkpoint in Bolryspil Airport officers of State Border Guard Service detained Iranian citizen. 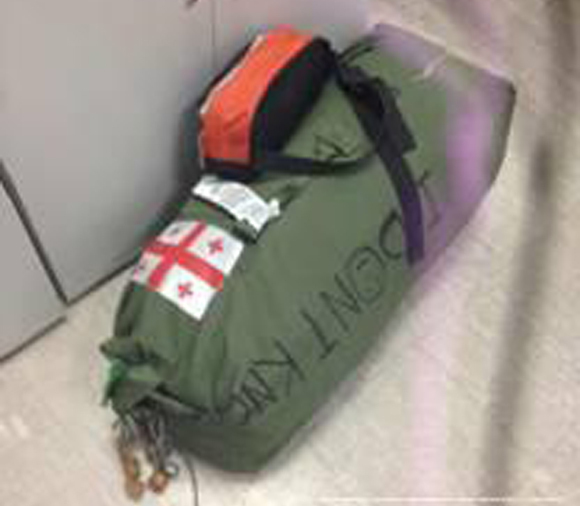 The foreigner has tactical sack, military uniform (camouflaged jacket), tactical boots, knives, torch lights, underwear for autumn and winter, slippers for noiseless walk, tactical medical kit. Iranian citizen confessed that he was professional sniper and was a serviceman of Iranian army. Security Service of Ukraine together with local police neutralized saboteur group of so-called Lugansk People’s Republic that planned several terrorist attacks in Dnipropetrovsk. 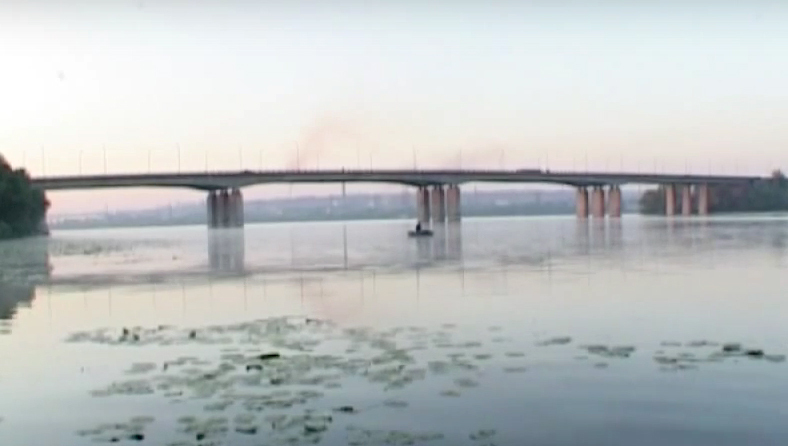 2 members of the group were detained on “Kaydatskiy” road bridge over Dnipro River that they planned to blow up. Terrorists had 6 F-1 grenades with them. On the same day another 2 members of the group were detained, one of them was a serviceman of local police. 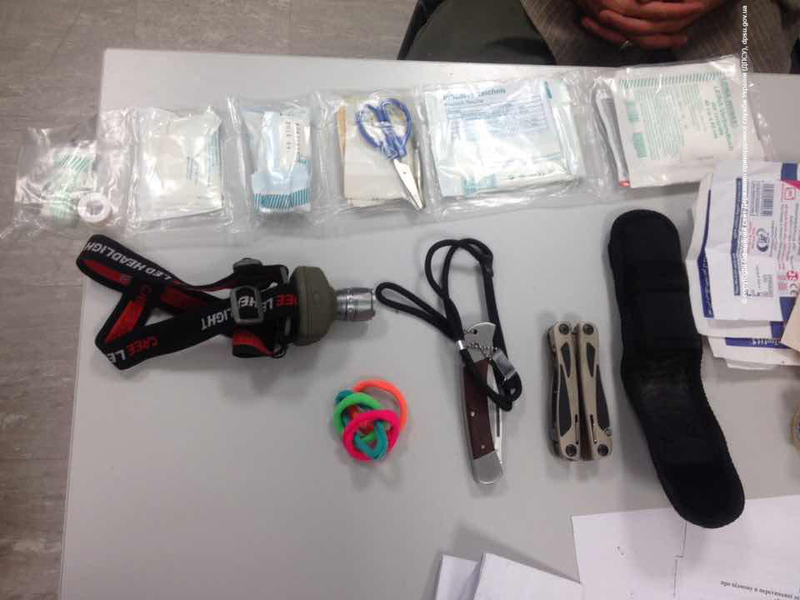 Terrorists had 2 revolvers, portable radios, knives, 4 fake passports of Ukrainian citizens, computers and so on. 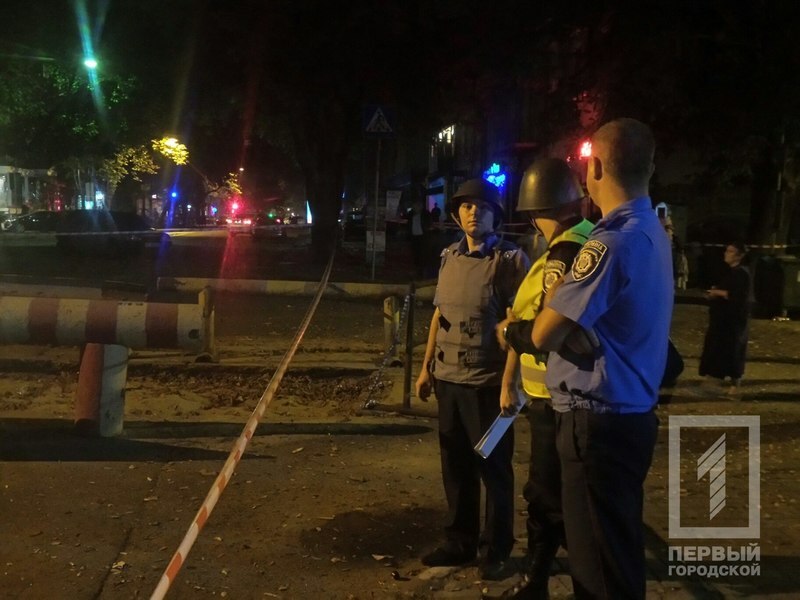 Detained men said that they are responsible for grenade explosion in the yard of District Recruitment Center of Dnipropetrovsk that happened on September 12. They were also collecting and sending information to LPR terrorists about positions of Armed Forces of Ukraine, volunteers battalions that take part in Anti-Terrorist Operation and volunteers centers. Security Service of Ukraine started criminal case according to part 1 of Article 258-3 (creation of terrorist organization) of Criminal Code of Ukraine. 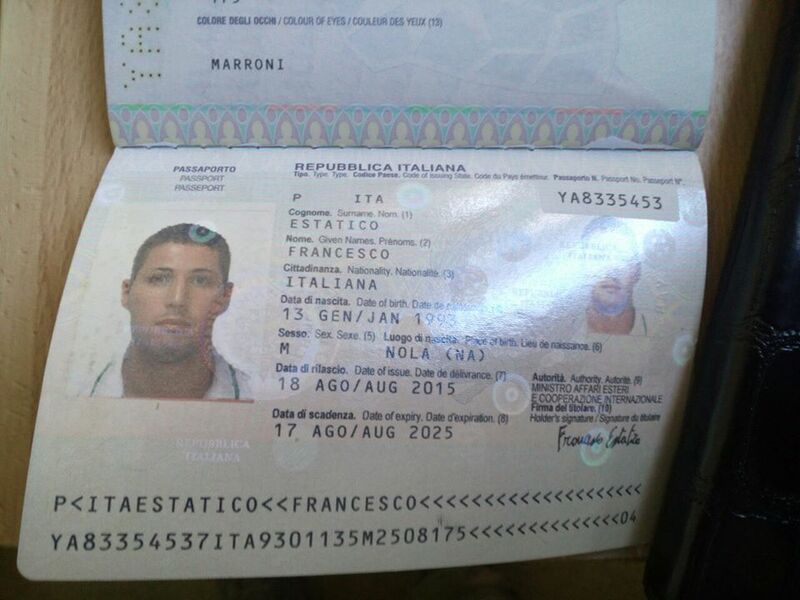 Italian paratrooper Francesco Estatico (aka Barbaro) who served in 5th Paratroopers Battalion “El Alamein” in Siena has been detained in Ukraine on his way to Alchevsk located in uncontrolled part of Lugansk Region on September 16 and 3 days later on September 19 he was detained again at another Ukrainian checkpoint located few kilometers away from Donetsk. 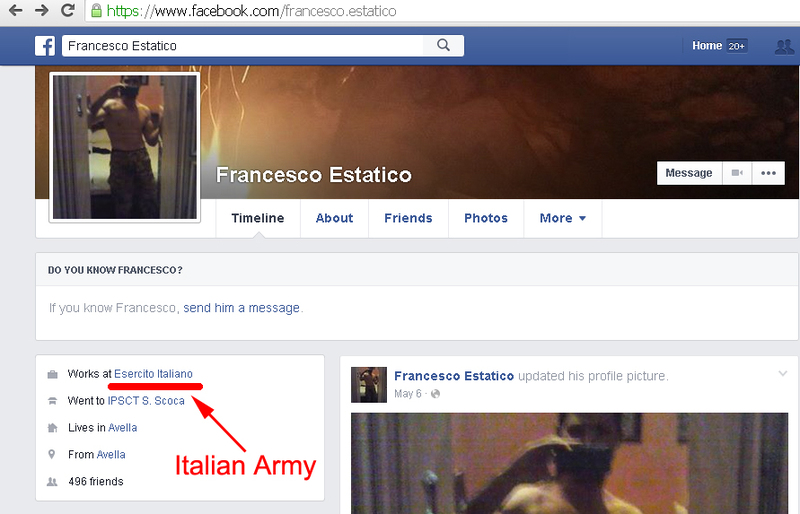 Francesco explained that he was going to join rebels army to fight against Ukrainian troops. 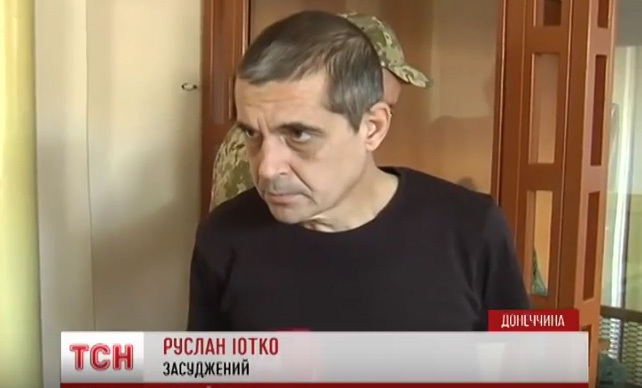 So far it’s not clear how he managed to escape after he was detained 1st time on his way to Lugansk. The photo above was posted by Francesco at his profile on Facebook, there is also some other interesting info there, see it at https://www.facebook.com/francesco.estatico He also specifies that he’s currently working in Italian Army. 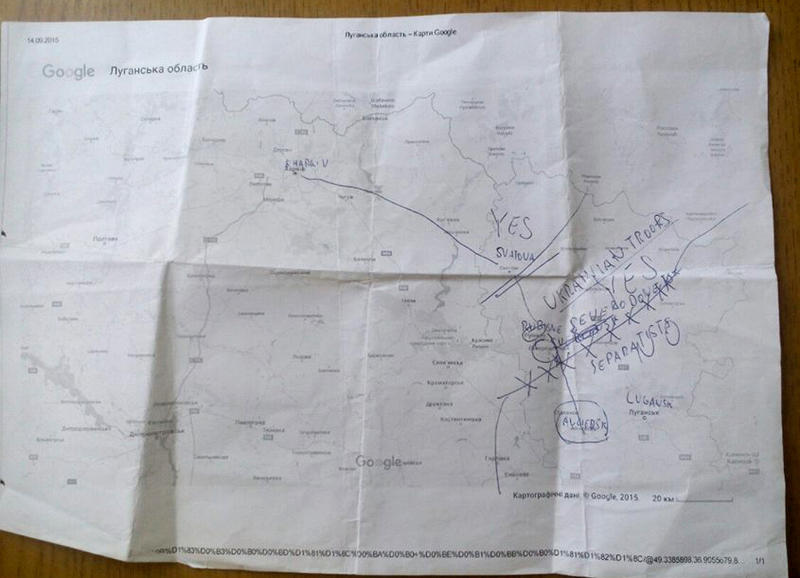 The information 1st leaked from Sergiy Shakun who works in military-civilian administration of Lugansk Region. See his post here. Below we translated it into English. 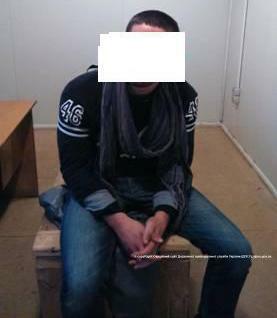 On September 16 in Novotoshkivske village suspicious young man was detained. He didn’t speak Russian or Ukrainian. It appeared that he was a foreigner. Thanks to representative of OSCE we managed to find out that this guy was from Naples and was looking for “his mother” here. Representative of military-civil administration together with a soldier of “Lugansk-1″ battalion passed “Italian” to border guards on Lysychansk checkpoint. Later we found out that this “client” served in different foreign armies and had no information about his mother. 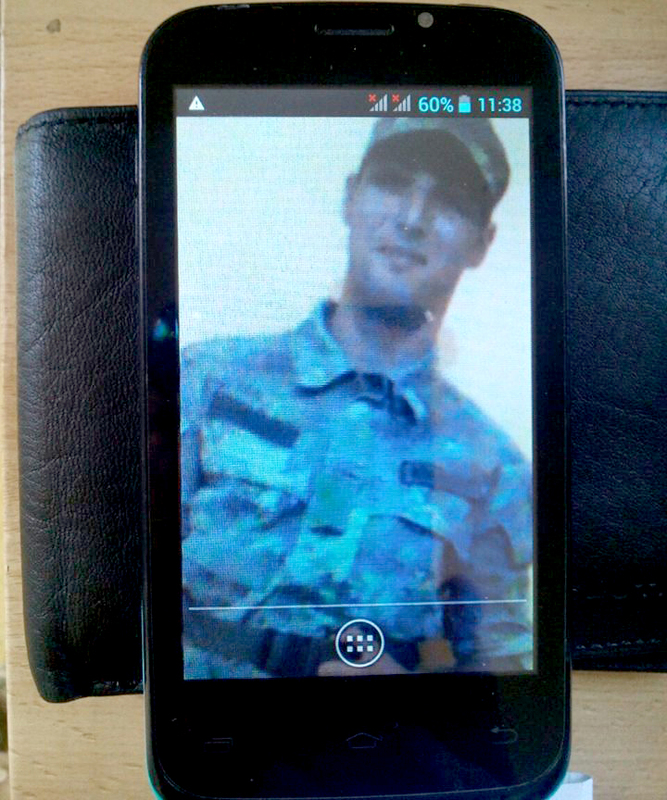 Right now Security Service of Ukraine verifies the information about that guy. Obviously Security Service of Ukraine didn’t arrest the Italian guy and let him go, because 3 days later on September 19 Francesco Estatico was detained by Ukrainian border guards in Donetsk Region near Mayorsk located on the contact line few kilometers from Donetsk. This was reported by Rodion Shovkoshytnyi who is a member of special forces unit that fights against smugglers near the front line. See his post here. 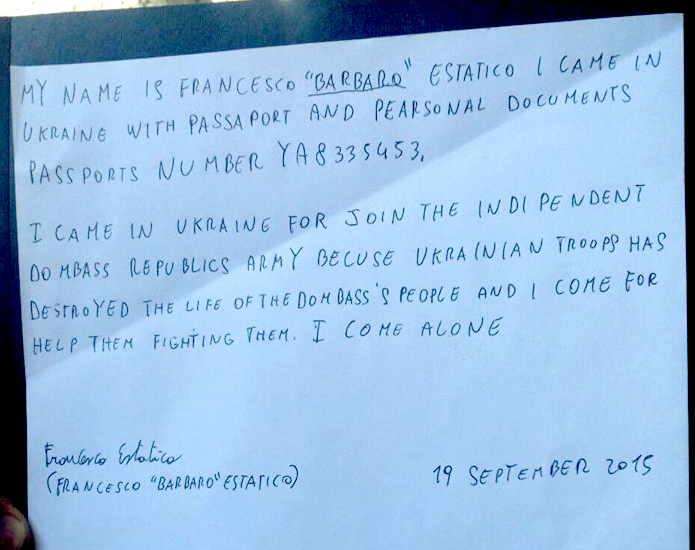 Francesco Estatico gave written explanation about how and why he got to Ukraine and what he planned to do. See the copy below. His note is written in bad English and ironically he also doesn’t know how to spell Donbass right. 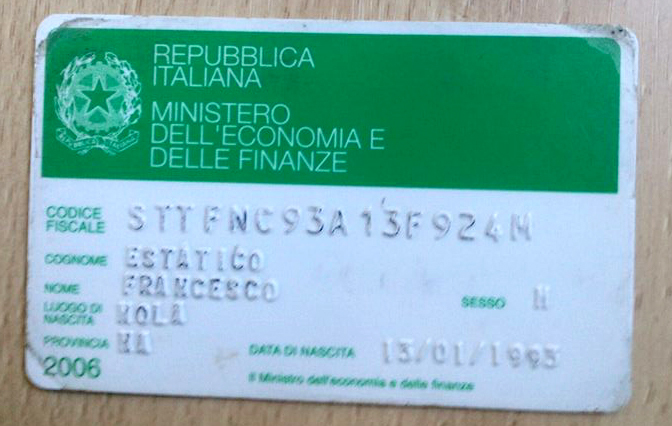 My name is Francesco “Barbaro” Estatico. I came in Ukraine with passport and personal documents. Passport number YA8335453. I came in Ukraine for join the independent Dombass Republics Army because Ukrainian troops has destroyed the life of the Dombass’s people and I come for help them fighting them. I come alone. Francesco Estatico had a map of his route and according to that his destination point was Alchevsk located on the territory of Lugansk Region controlled by so-called Lugansk People’s Republic. He marked his way from Kharkiv to Svatove, next point was Rubizhne, next point is Severodonetsk and further his route goes directly to Alchevsk via last Ukraine controlled Novotoshkivkse village. The contact line that he was going to cross is also marked on his map. See his Google Map below. By the way the tittle of the map is “Lugansk Region” and it’s all in Russian, that means he printed the map when he was already in Ukraine. Below are some other docs that Francesco Estatico had with him and a photo from his phone where he’s in Italian military uniform. So why he was going to Alchevsk. Since the beginning of military conflict on the East of Ukraine Alchevsk was under control of Aleksey Mozgovoy who was ideologist of Novorossiya movement and didn’t recognize so-called Lugansk People’s Republic. And because of that Mozgovoy was killed by Russian special forces unit at the end of May. Mozgovoy recruited not only locals, but he became very popular in other countries, so a lot of radical communists from Italy, Spain, Serbia, France and so on were travelling to Alchevsk to join his “Prizrak” brigade. 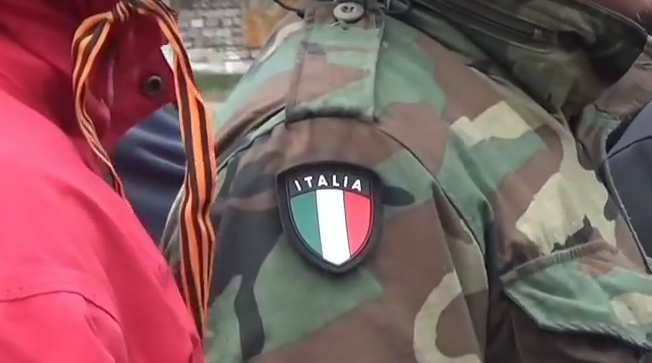 For example on May 14 2015 Aleksey Mozgovoy uploaded video to his YouTube channel called “Unbelievable Adventures of Foreigners in Novorossiya” about foreigners who come to join his brigade and there are guys in military uniform with Italian insignia. Here is screenshot from the video. UPDATE September 20, 2015. State Border Guard Service of Ukraine confirmed detention of Italian citizen who was going to join terrorist armed groups. 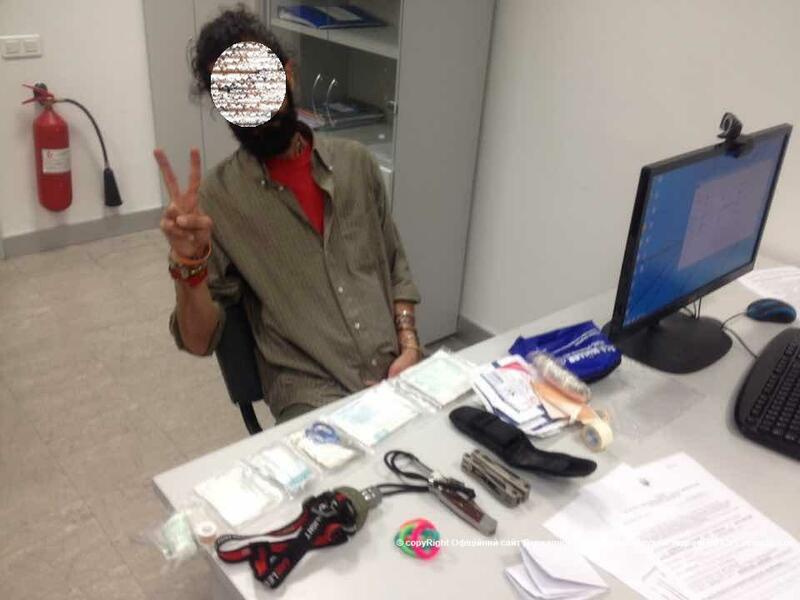 Officers of State Border Guard Service of Ukraine detained Italian citizen in “Zaitseve” checkpoint located on the contact line in Donetsk Region. Italian arrive to the checkpoint in the morning of September 19. After his documents were checked and after conversation with him border guards found out that he was going to take part in military conflict on the East of Ukraine on the side of illegal armed groups. Right now Italian citizen is detained and he was given to Security Service of Ukraine for further investigation. Yesterday at about 12:30 saboteur group of Lugansk People’s Republic attacked Ukrainian Army vehicle using grenade launcher. This happened near Valuiske village when solders of 128th brigade were delivering water supply for the checkpoint. As a result of attack 2 Ukrainian soldiers got wounded, they were taken to the hospital for medical help. Terrorists continue provocative attacks in the region. Saboteur groups infiltrate to Ukraine control territory. Despite the cease-fire in the region it’s not totally quiet in the area, unfortunately. 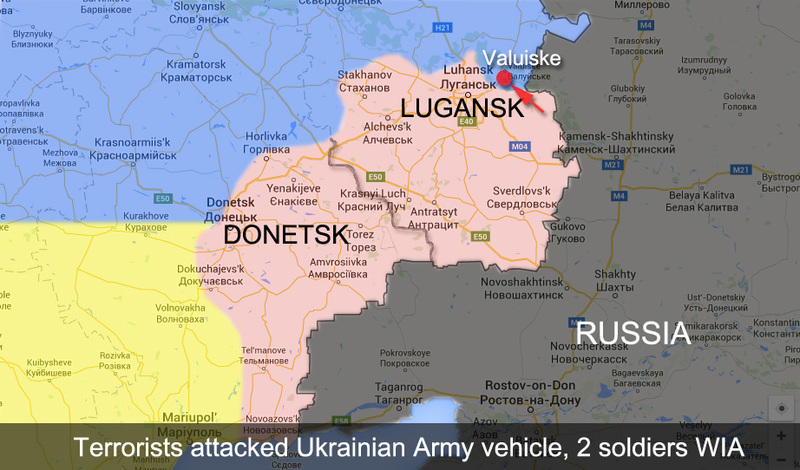 Russian soldiers arrived to Lugansk for rotation. Photos. 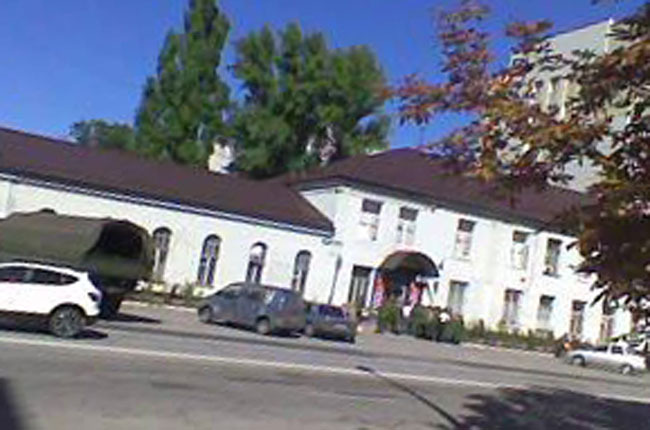 Locals from Lugansk report that another group of Russian soldiers arrived to the city. 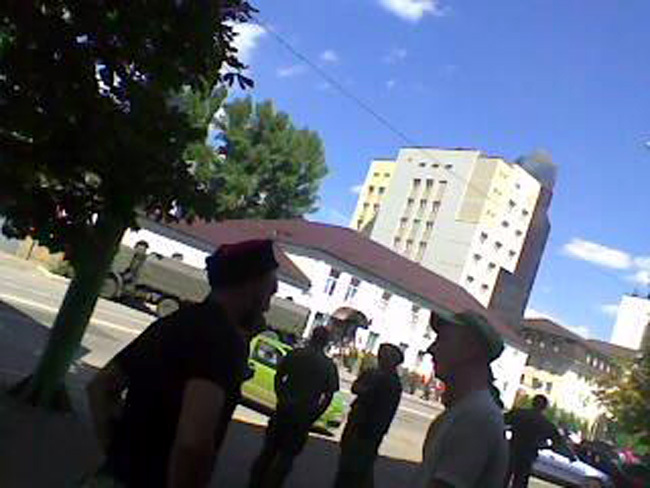 They have been seen in the city center in military uniform with Russian insignia hanging around since yesterday. 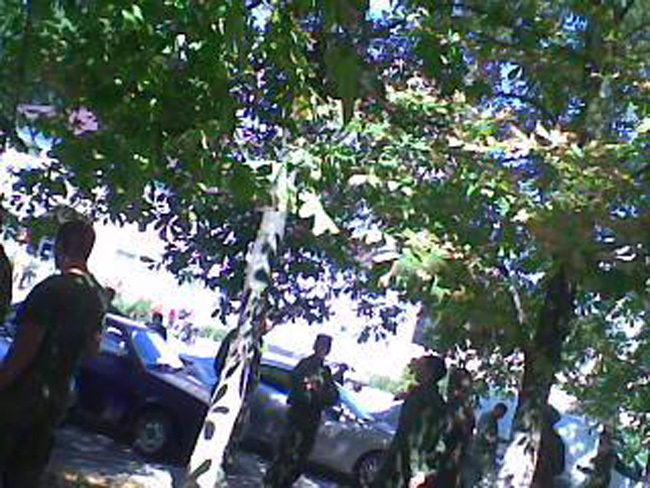 The photos below were take today at about 2 pm on Kotsyubinskogo St. About 50 soldiers are standing in a line at the entrance of Lugansk Regional recruitment office where they get registered. They arrived for rotation. 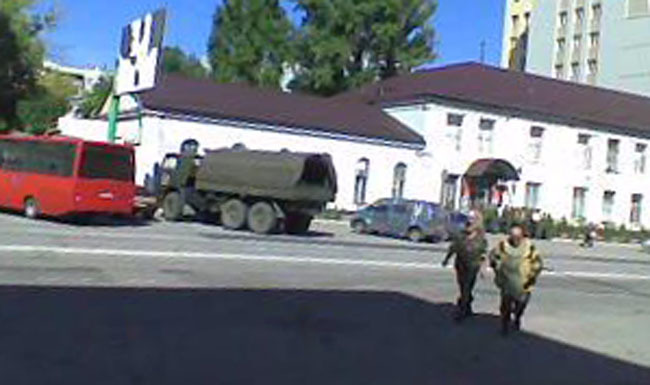 Last time arrival of Russian soldiers to Lugansk was registered exactly one month ago on August 17. See our tweet below with the photos taken at the same place. 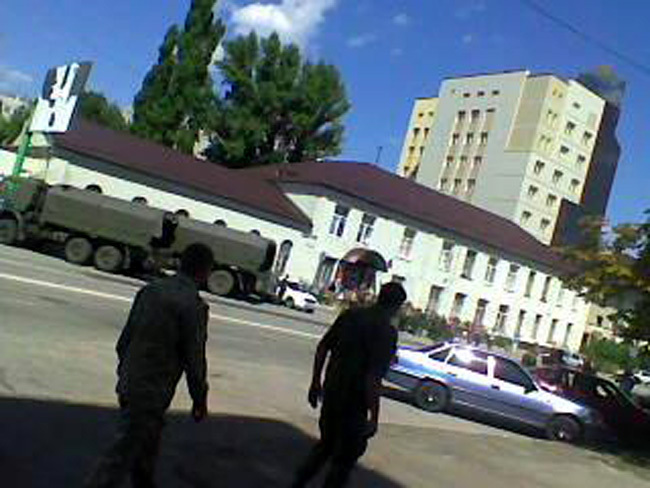 Below are the photos taken on August 17 in the center of Lugansk.